IAAE 2015 continues to be an ideal platform for market information exchange among auto aftermarket operators (photo courtesy of show organizer). Being Japan's only aftermarket exhibition dedicated to the automotive sector, International Auto Aftermarket EXPO (IAAE) has consistently provided the latest information, products, technologies and industry trends in the automotive aftermarket, with exhibitors engaged in sales, repair, maintenance, environment and infrastructure, coupled with seminars, demonstrations that help buyers with sourcing, building contacts, and to stay updated with current industry developments. The annual exhibition is a sought-after trading platform that offers the latest products and technologies related to the automotive aftermarket, with this year's event featuring four themes: Auto Parts for Aftermarket, Next Generation Maintenance & Repair, Auto Detailing and Telematics, which covers a spate of related products and systems including recycled, rebuilt and reused parts; repair and replacement parts; electric parts; tires; consumables; lightweight materials as plastic, aluminum and high tensile strength steel; painting equipment and material; body coating; interior cleaning; car films & window repair materials; car washing systems and materials; paint-less dent repair & interior repair equipment and supplies; drive (road trip) recorders and rearview monitors; car navigation systems, etc. Interested visitors at IAAE 2015 (photo courtesy of show organizer). 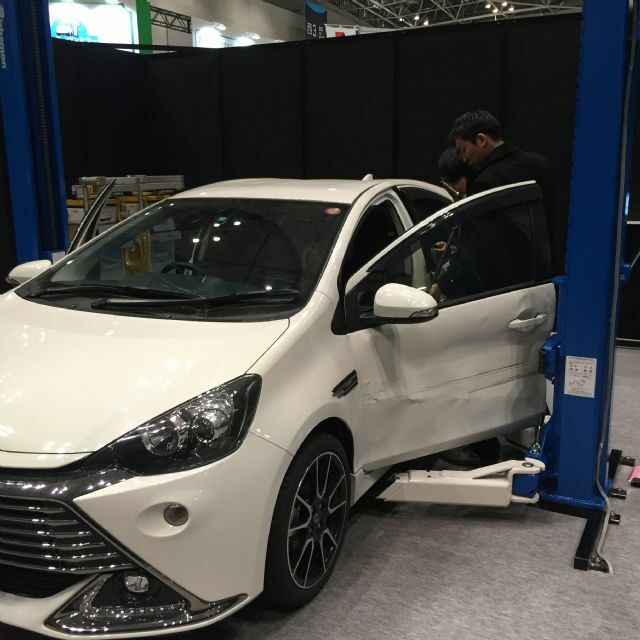 IAAE's 2015 edition, held March 11-13, 2015 alongside the 6th International Automotive Telecommunication Technology Tokyo (ATTT 2015), hosted a total of 180 companies and associations in 350 booths across the Tokyo Big Sight (Tokyo International Exhibition Center). 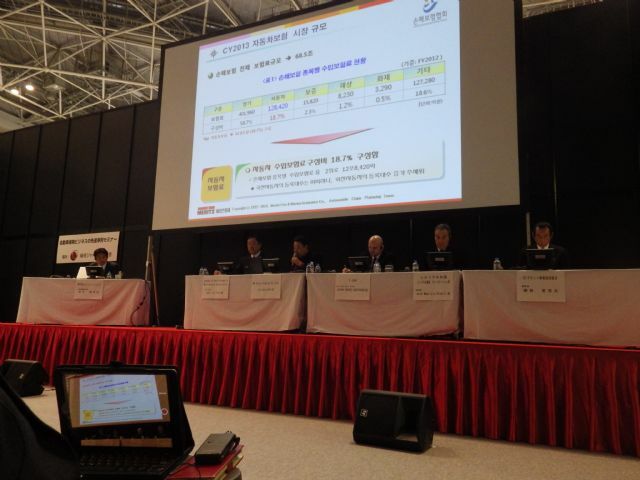 Of the total exhibitors, according to the organizer JC Resonance Co., Ltd., 102 were domestic who occupied 269 booths, and the remainder came from 78 countries. The top nine foreign exhibitor sources at the show were China, Taiwan, Korea, Thailand, Malaysia, Singapore, India, Australia and Italy. Living up to the Japanese reputation for being detail-minded and upholding conscientious work ethic, the show management office announced both the Counted & Registered numbers of visitors (Counted: the number of visitors who passed the entry gate; Registered: The number of business cards collected), which reached 30,056 and 12,280, respectively, during the three-day run. 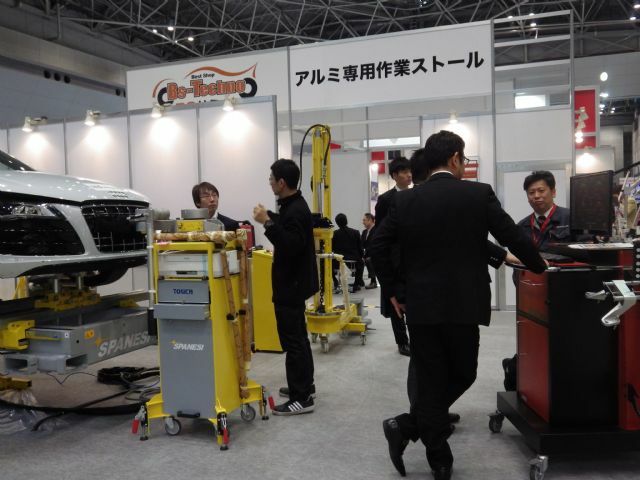 Source: JC Resonance Co., Ltd.
Auto maintenance and repair equipment capture ample interest at IAAE 2015 (photo courtesy of show organizer). In addition to a wide range of innovative, high-quality auto aftermarket parts and accessories coupled with related equipment and systems on display, IAAE 2015 posted the solid turnout thanks to a slate of supplemental forums and activities, which were designed to provide attendees with ample opportunities to build new contacts, visit current suppliers, find products and technologies with sales potential, and even cross-industry opportunities. 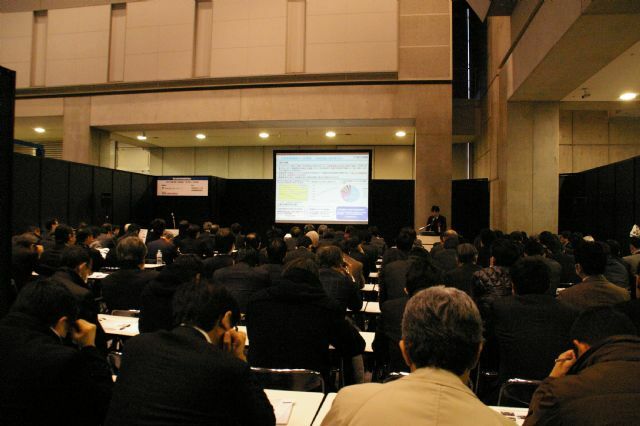 Among the list of educational activities, The International Automotive Body Technology Conference was held to help automobile repair service providers from Japan and overseas to exchange information about their businesses. Industry insiders, entrepreneurs and operators from Japan, Italy, the U.S. and South Korea took part to discuss the current state of the business, issues and prospects of auto body repair in their countries. The conversations were relatively informative and valuable to the attendees who looked forward to securing sustainable growth, especially when automotive maintenance and repair work has become ever more difficult and complicated, given that more and more upscale cars adopt composites, aluminum alloys that call for specialized technologies to repair, not to mention the rising applications of microcomputers and electronic components which are often tightly integrated into body structures that also complicate repair work. Foreign panelists shed light on current development and prospects of the automotive aftermarket across the world (photo courtesy of show organizer). The show organizer also held the International Business Networking Party to enhance information exchange and supplier-to-buyer matchmaking among the overseas exhibitors, buyers and other businesspersons interested in the Japanese automotive aftermarket. More than 72 participants from Japan and foreign nations joined the event, whose profiles ranged from manufacturers and suppliers to auto parts shop operators, used car brokers, trading companies, etc. The products that buyers frequently inquired about at the event included air fresheners, brake pads, brake shafts, brake shoes, bumpers, car black boxes, dust covers, HIDs and LED lamps, rubber parts, telematics, tires, chains, tools and wipers, as reported by the show organizer. As automotive maintenance and repair nowadays typically require ever more sophisticated technologies and skills as well as advanced equipment, the Auto Repair Assessment Competition was held to facilitate exchanges of techniques, technologies and information on the practical ways of automotive maintenance and repair, as part of the organizer's effort to contribute to the further development of automotive repair industries. The next IAAE will be staged March 16-18, 2016 at the same venue. 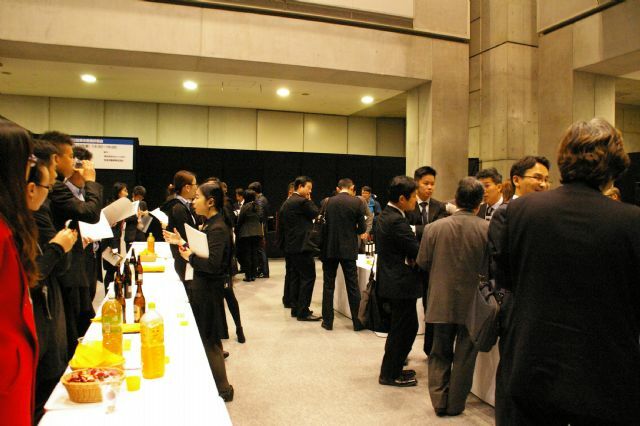 The International Business Networking Party facilitates exchange and business matchmaking among domestic buyers and foreign suppliers (photo courtesy of show organizer).